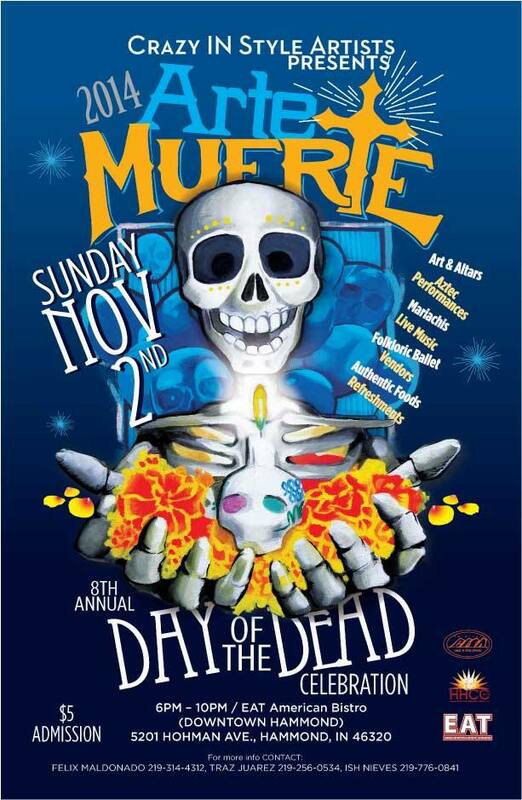 Sunday Nov.2nd I will have two of my latest pieces in Cisa Studios annual Arte Muerte show. This year’s event will be held at Eat in downtown Hammond,IN (5201 Hohman, Ave.) from 6pm-10pm and there is a $5 admission fee. Friday Nov.7th I will be apart of Studio 659’s Artistic License Exhibit. The opening reception will be Friday November 7th from 7-9pm. Awards will be given out at 7:30.